The Mizuno JPX-EZ hybrid produces a high launch to optimize distance and features a large, appealing footprint. It features Shock Wave Sole which expands the COR area and delivers increased ball speeds across the whole face. 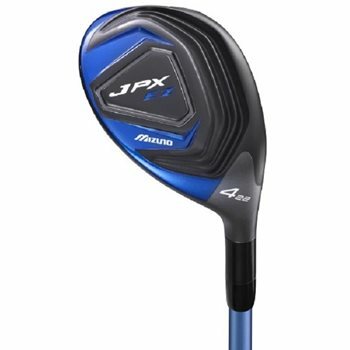 The JPX-EX hybrid also has an increased head size and increased MOI design to allow for a lower CG for forgiveness and a high easy launch with a soft landing. Does the 3 hybrid come w/its headcover? New clubs will come with a headcover. Used ones will not.